HOT DOG! Henry "Hot Dog" Miller was a Boardwalk institution in the 1920's. 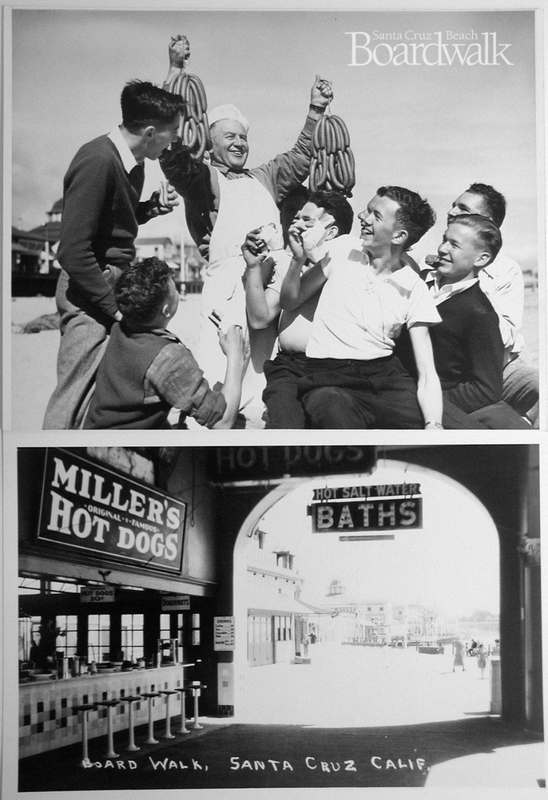 In 1927, Miller's famous hot dog enterprise was favorably placed at the entrance to the colonnade, leading to the Plunge; swimmers were always hungry for hot dogs. You can still get amazing hot dogs at our "Hot DAWGS" food stand down by the Cave Train ride. Yum!